Chuya Ikeda captures images off the Internet by doing searches of poems translated into various languages. 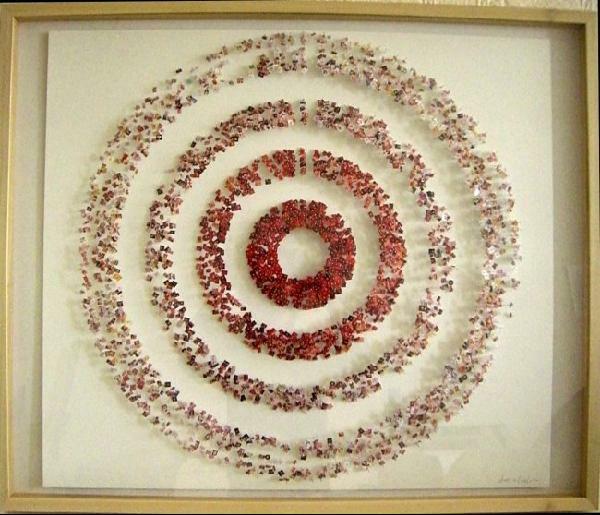 He then shrinks the images and arranges them in a circular pattern. The body of work is called Lost in Translation. 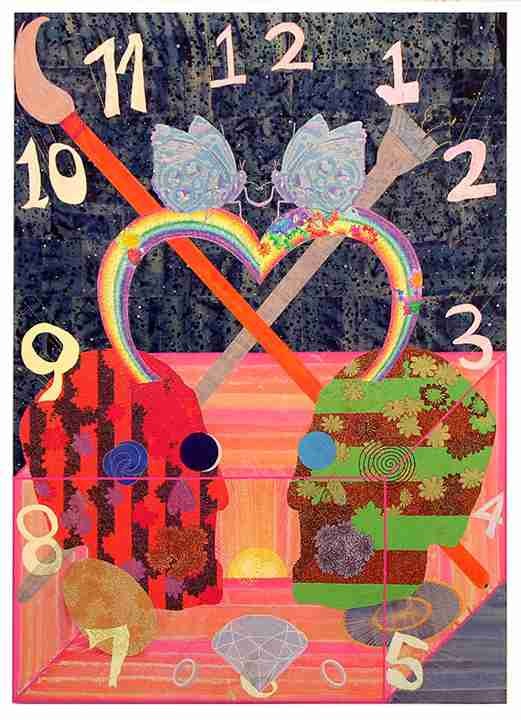 Chie Fueki also uses Japanese rice paper but incorporates it into a collage. She paints it and arranges each piece on the canvas to form compositions of subjects common to Japanese screens and scroll paintings. Fueki prefers pastel colors such as mint green, yellow, and pink which she then sometimes spikes with glitter. Irit Batsry recently completed a series of photographs of images reflected in a mirrored wall. This collection of blurry, unidentifiable images and ethereal landscapes are an attempt to reflect the difficulties in reconciling memories. Roy McMakin creates highly crafted furniture, interiors and architecture using all-natural materials such as hardwood maple, holly and walnut. He then uses a precise 9-layer painting method to complete his works. Michael Gregory is a Hopper-esque landscape painter who uses icons of the American countryside but depicts them with a contemporary Old Master look. 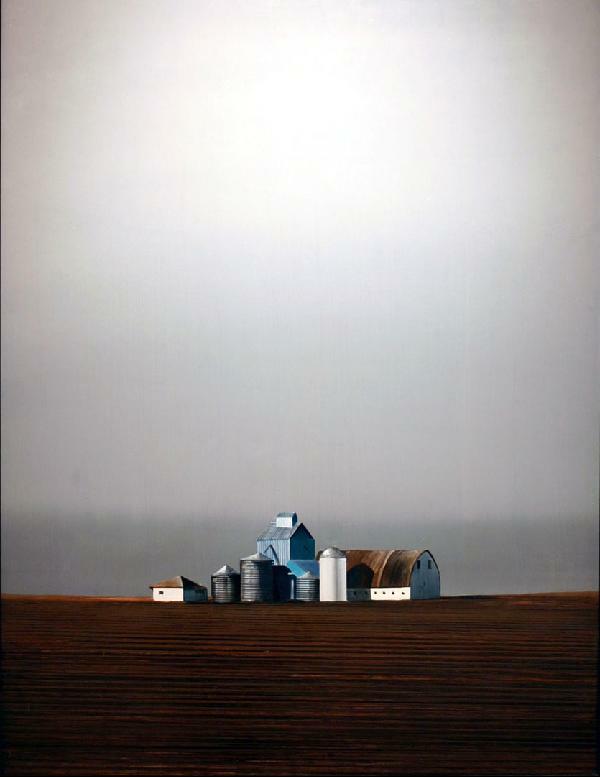 Painted in many layers of oil on panel, his barns, silos, stucco structures, and skylines are done mostly in white, black, and gray with a sepia glow. 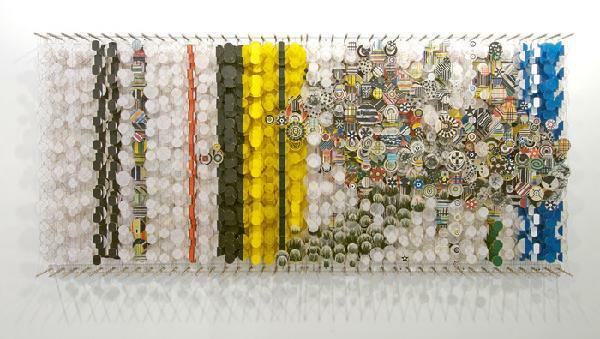 Andy Diaz Hope's photographs use pill capsules, each containing small portions from several original prints, to convey an image. When viewed from afar, the pictures can be read as a whole image. As one moves closer, the image begins to break down and the individual capsule pixels become more prominent. 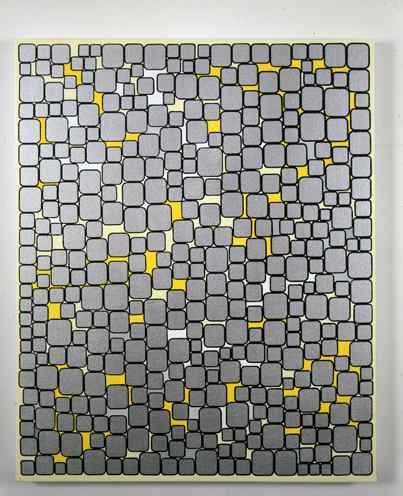 Linda Bessemer's latest group of hanging paintings create visual effects reminiscent of Op Art of the 1960s. Experimenting with the plasticity of acrylic paint, she uses neither canvas nor boards to layer and connect sections of paint in complex multicolored geometric designs. The finished pieces are flexible, rectangular objects that can be folded to reveal contrasting striped and plaid patterns on their fronts and backs. 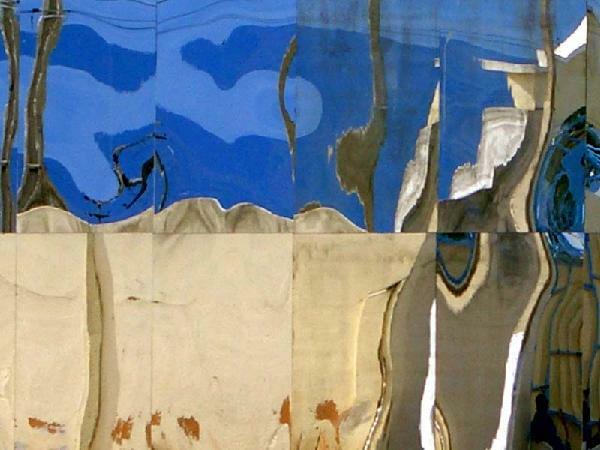 John Tremblay uses metallic paint with bright colors to make abstract geomorphic works on canvas. 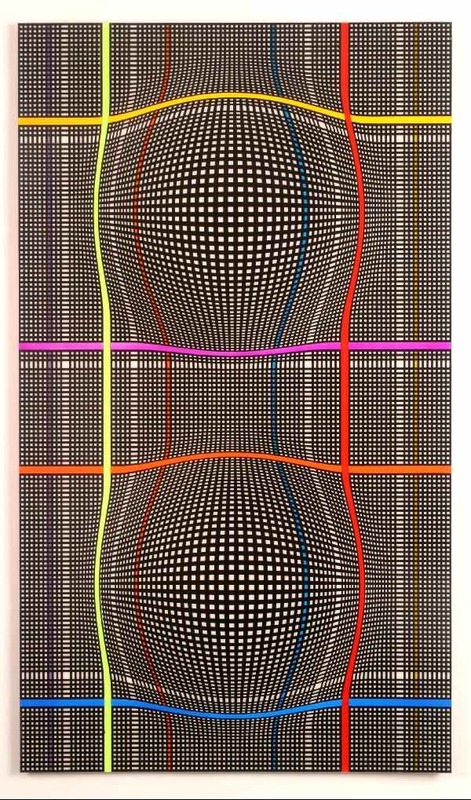 The space between the shapes is filled in with a different color, creating a play between negative and positive space. 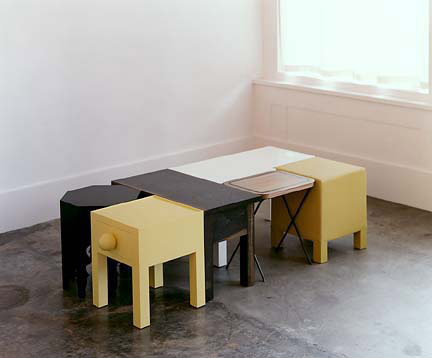 His works tend to allude to graphic design, as well as to urban planning and various aspects of consumer culture. 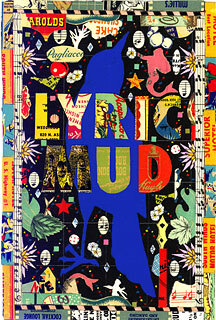 Tony Fitzpatrick makes small collages using text, drawing and various found objects; his latest series is called A New Orleans Project. Our next mailing will be a review of our trip to Santa Fe, New Mexico. Work is available by all of the artists listed above. Prices range from $1,000-$40,000. Tag-arts has further information and additional images.